Thule "Hull-A-Port" carriers provide excellent support for the Sea Ranger folding kayak. The contact area is small, and the boat is supported in a more rigid on edge position. 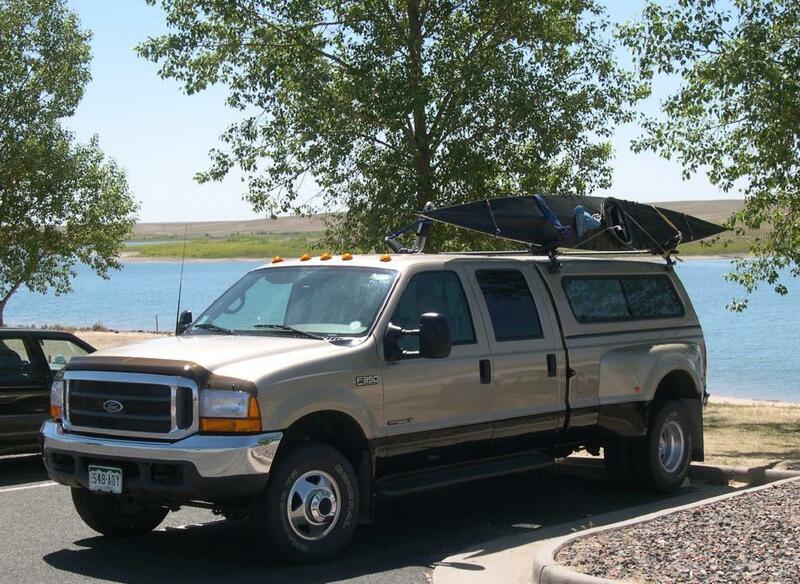 On a truck the size of this F-350, a small stepladder is required equipment.